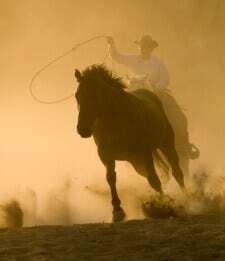 Catch the stallion ~ win the ranch. When his father announced his engagement to a gold-digger with a lying, scheming fourteen-year old daughter, seventeen-year old Tripp Warner left Warner Ridge Ranch and never looked back. Until the day he got the phone call that his father had died unexpectedly. Reggie Reed lives with guilt every day but can’t quite work up the courage to track down the son of the man who raised her as his own. When Tripp shows up at his father’s funeral eleven years later-and a hell of a man to be reckoned with-he has no interest in her too-late apology. 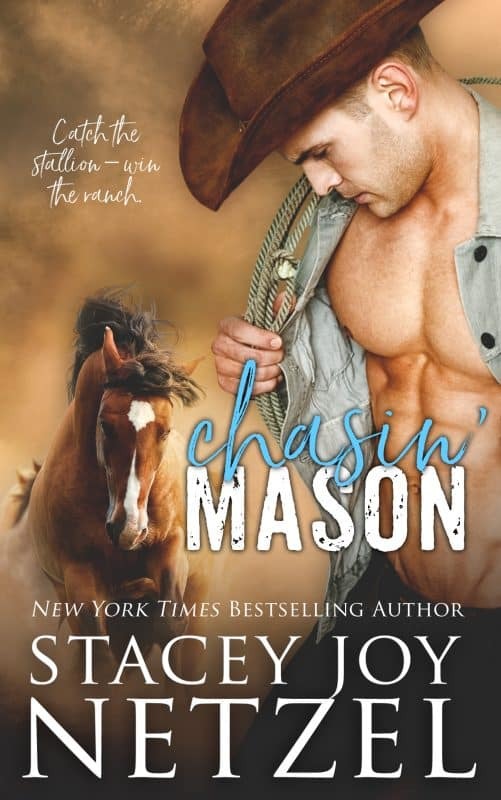 Worse, they’ve inherited half shares of the family ranch—but only if they work together to catch Mason’s Gold, the stallion a young Reggie let escape and made sure Tripp took the blame for. Tripp proposes a secret competition to the beautiful witch who stole his life: whoever catches the stallion first gets the ranch all to themselves. It sounds simple, but once they’re out on the range, tempers and passions flare in the Texas heat and nothing goes as either of them expects. The sardonic drawl from the barn entrance sent Reggie’s heart ricocheting off her ribs in wild panic. Adrenaline swept through her, leaving her light-headed. Eleven years had passed since she’d last heard that voice, and though it had deepened considerably in adulthood, she recognized it instantly. How could she not when the person behind it haunted her guilty conscience every day. The hate-filled vow of seventeen-year-old Tripp Warner sounded in Reggie’s mind like it’d been shouted only yesterday. Fourteen years old at the time, she’d smiled with malicious satisfaction when he walked away without looking back. He’d kept his word until today. Maybe Hell had frozen over—because despite the above ninety temps, she suddenly felt chilled to the bone. Reggie swallowed hard as guilt threatened to overwhelm her. She’d wondered if he’d show up for the funeral, but the blustering coward inside had resolutely ignored the possibility and left her completely unprepared to face him. The prickle along the back of her neck from his stare told her she didn’t have a choice now. She dashed the remaining moisture from her lashes and drew in a shaky breath before willing herself to turn around. Another jolt rocked her senses. No longer the lanky boy she remembered, the man Tripp Warner had become stood before her, larger than life, lounging against the doorway with one shoulder, his hands in his pockets. A white dress shirt stretched across his broad chest , contrasting with a black tie and tailored slacks that hugged lean hips. The sun at his back glinted off dark blond hair as it cast his face in shadow, but his words and the chilling animosity in his voice left no doubt as to the hate she would find there. The sound of her name off his tongue raised the hair on her arms. His deep voice had a rough, sensual edge that sent a flutter through her stomach. She sucked in a breath while thrusting the disturbing sensations aside. Nerves, that’s all.